Do you ever have some hardware on your computer that is not working and you have no idea what is wrong or how to go about fixing it? If the answer is yes, then you need to learn a little more about device managers. This article looks at some of the top things we need to know about device managers. We also review how DriverAssist can help make the process easy. What Is a Device Manager? 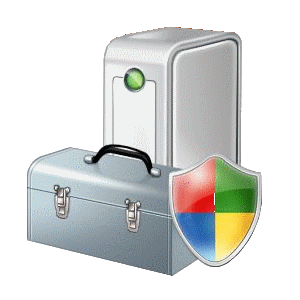 The term Device Manager refers to an applet panel in Microsoft Windows operating systems. Its main role is to help users to access and instruct the hardware that is attached to the computer. If a given piece of hardware is not working, that particular hardware will be highlighted so that you can deal with it. There are a number of criteria by which the hardware can be sorted. The concept of device managers was introduced in Windows 95. The device manager is one of the most important tools you can use for troubleshooting. It displays all the installed hardware devices on your computer and permits you to view the ones that have problems. It is also the tool that you can use to manage the drivers for the specific hardware. You can also use this feature to disable specific pieces of hardware. The Device manager is generally only useful when you are managing the device drivers and also the hardware. The Device Managers are important tools that any computer user needs to know how to manage. However, there is always a shortcut, and you may never need to worry yourself getting all the intricate knowledge about device drivers; you just have to deploy sophisticated, smart software such as DriverAssist from SafeBytes. This solution will always scan your system with the aim of detecting the appropriate drivers for your hardware. It will then download the latest available versions of these drivers to your PC. To open the device manager on any version of Windows, you will have to press the Windows key + R on your keyboard, type devmgmt.msc, and press Enter. If you are using Windows 8, just go to the bottom left of the screen and choose Device Manager. If you are using Windows 7, you can access the Device Manager from the control panel. You will have to go to Hardware and Sound and then click on Device Manager, which you will find under Hardware and Printers. Device Manager displays a list of the hardware installed on your computer by default. It sorts them by category. To view the hardware installed on your PC, you will need to expand these categories. Device Manager will also remind you in case you have forgotten the model number of a given hardware such as a video card. All the information about the hardware on your computer can easily be found in Device Manager.